A French tourist has been kidnapped in Algeria by a militant group linked to Islamic State (IS), French Foreign Minister Laurent Fabius has confirmed. 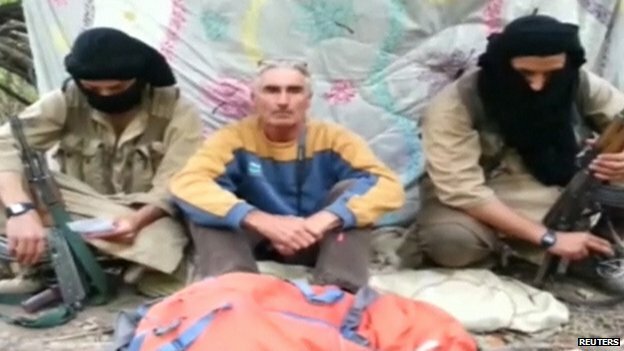 Herve Gourdel, 55, was seized on Sunday in the unsettled north-east Kabylie area. Algerian militant group Jund al-Khilafa threatened to kill him if France did not halt air strikes on Iraq. Mr Fabius said an online video that showed Mr Gourdel flanked by armed men was authentic. Islamic State militants warned on Sunday they would target Americans and other Western citizens, “especially the spiteful and filthy French”, after French jets joined the US in carrying out strikes in Iraq on IS targets. France on Monday raised the threat level for 30 of its embassies throughout the Middle East and Africa in response to what Interior Minister Bernard Cazeneuve called “yet another demonstration of the barbarism of these terrorists”. IS jihadists have seized large swathes of territory in eastern Syria and across northern and western Iraq, forcing tens of thousands of people to flee their homes this year. French Prime Minister Manuel Valls said there would be “no discussion, no negotiation” with the kidnappers. “If you give in, if you go back one inch… you give [terrorism] this victory,” he told French radio while on a visit to Germany on Tuesday. 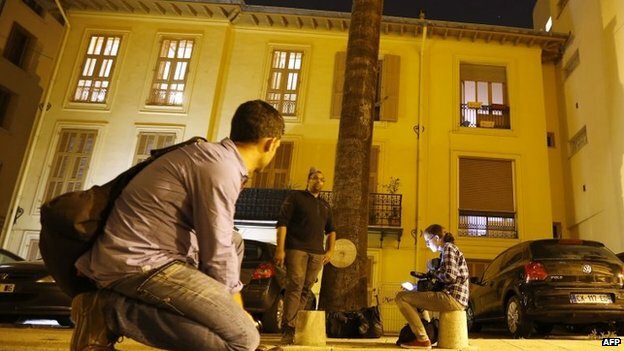 In the video, Mr Gourdel, flanked by two masked men, identifies himself as a 55-year-old from Nice, southern France. 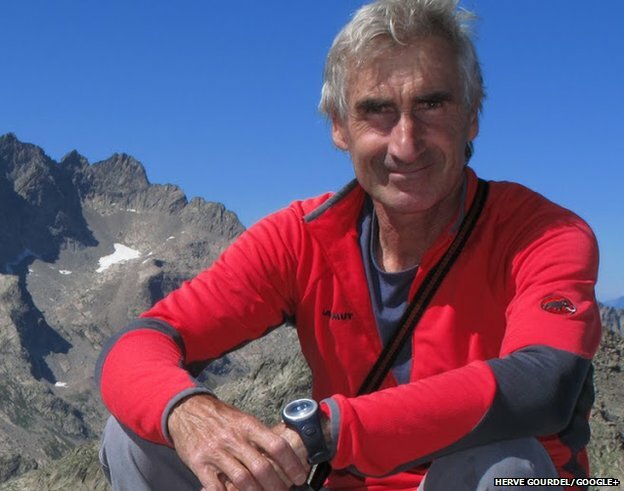 French media say he is an experienced mountain guide and photographer with a taste for exploring, who set up a hiking centre in the Mercantour national park north of Nice. 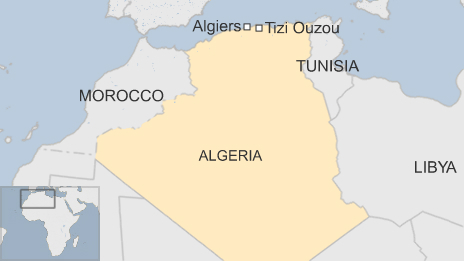 The Algerian interior ministry said he and two Algerian companions had been driving through mountains near the village of Ait Ouabane, when they were stopped by armed men. The gunmen let the Algerians go but seized the Frenchman. Algerian group Jund al-Khilafa (Soldiers of the Caliphate) pledged allegiance to IS on 14 September. 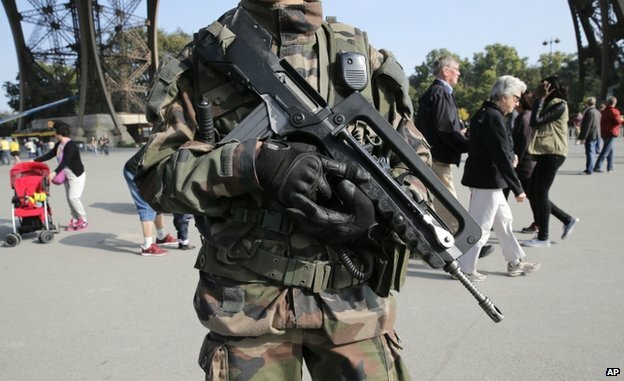 The group claimed Toulouse gunman Mohamed Merah, a French citizen of Algerian origin, as a member after he murdered seven people in south-western France in March 2012, French radio reported. The militants said that they were responding to the IS call to attack citizens involved in strikes on Iraq and would kill Mr Gourdel unless France ended its military operation. France’s public position is that it does not negotiate with militant groups but there have been reports of French citizens being released in West Africa after ransoms have been paid. Four Frenchmen kidnapped in Niger were freed in October 2013 amid reports of a 20m-euro (£16m; £$25m) ransom being paid. The government in Paris denied that was the case. President Francois Hollande’s office said he had spoken to Algerian Prime Minister Abdelmalek Sellal by phone and that there was “total co-operation” to try to find Mr Gourdel. “Authorities are mobilised and no hypothesis is being discarded,” the French government added. 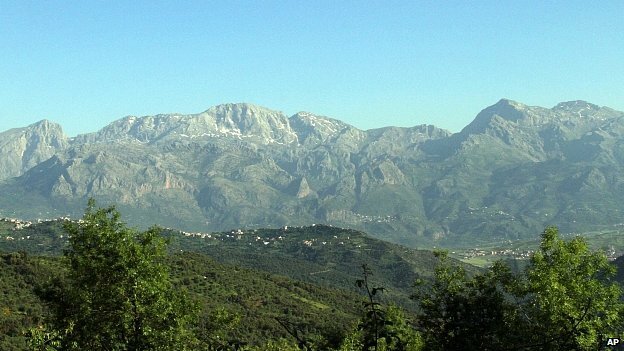 Kabylie is a rugged, mountainous region which has seen several kidnappings of Algerian businessmen for extortion. AQIM has carried out deadly attacks in Kabylie this year. Most of those who were abducted were later freed by security forces. Posted on 23rd September 2014 by newsafrica. This entry was posted in Africa, Algeria, France, Islam, Religion, Terrorism and tagged al-Qaeda, Algeria, Bernard Cazeneuve, France, Iraq, Kabylie, Laurent Fabius, Middle East. Bookmark the permalink. « Chinese companies propping up repressive African regimes?